Are you looking for an instruction manual for an Elicar Auto Macro 8? If so you’ve come to the right place. 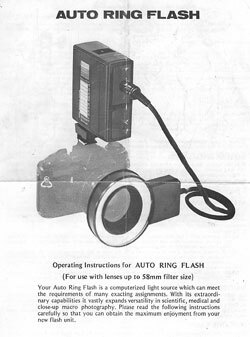 This book will also suit people looking for the Doi Auto Circle Flash as it’s from the same factory. Posted: October 25th, 2010 under Instruction manuals.